Please call us at 818-988-4441 to process your order! At Home Naturally is the leader in Eco Ice Packs® offering a unique design specifically formulated with a viscous gel refrigerant that is food safe, non-toxic, leak proof, and biodegradable. 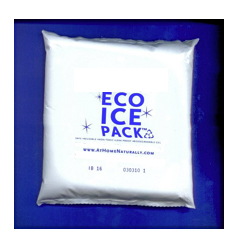 These Eco Ice Packs® are hermetically sealed in a heavy leak proof, reusable, safe # 4 recyclable plastic pouch containing *GRAS rated gel. Colder than ice, Eco Ice Packs keep perishable products at a constant and desirable temperature. • Offer a safe, convenient, eco-friendly alternative for keeping customer’s groceries cold. • Support your commitment to your store’s core values and customer service satisfaction. • Market your company while providing a convenient, eco-friendly service. • Reduce the amount of waste created in your stores. 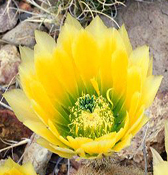 • Conserve resources and create sustainable practices. • Save on labor intensive and costly ice bagging. Eco Ice Packs® are not only convenient for keeping groceries chilled but great for lunchboxes, coolers, picnic baskets, beach bags, keeping drinks cool by the poolside, extended road trips, cooling your makeup bag on hot days, even boo boos, burns & more!